In the “Quick Search” box, type your copier model number to select your device. 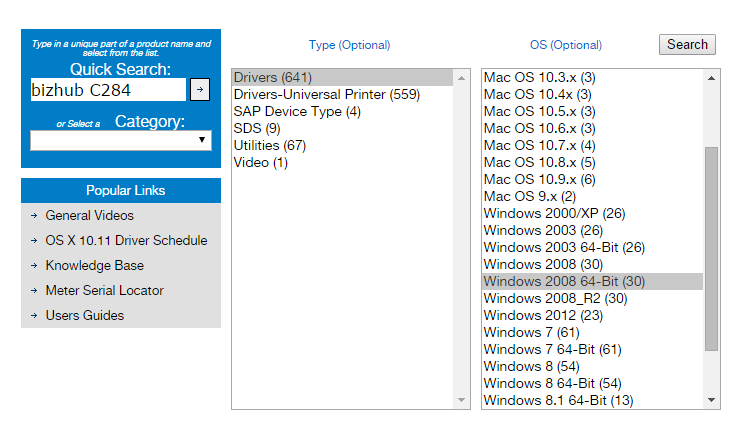 Then select Drivers and then the OS you are installing on. 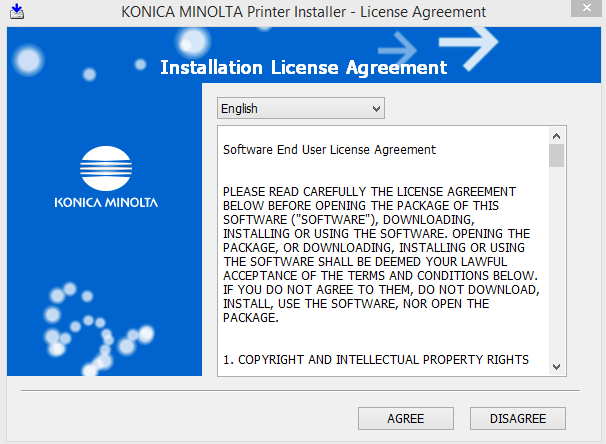 Click “PCL” and then click on the newest driver to download it to your computer. Go to your Downloads folder and right-click and select Extract All. Follow the steps to extract the driver. 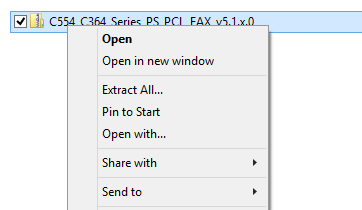 Open the extracted folder, and double-click on Setup to begin the installation. Follow the steps to complete the installation. Leave all options on the defaults. If asked for your copiers model, choose the appropriate model. 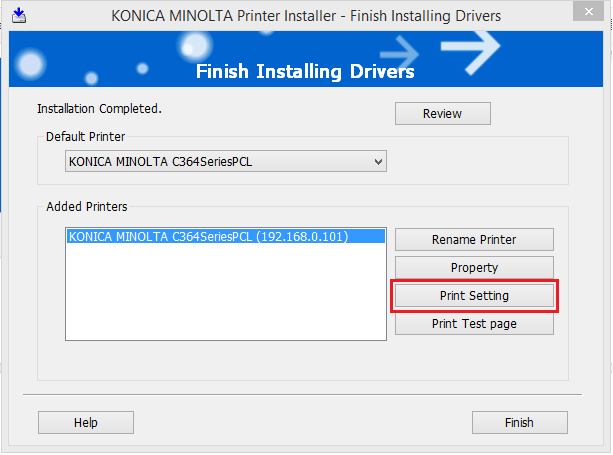 When the install is complete, you can now change the default print settings. Note: all copiers will default to 2-sided printing. 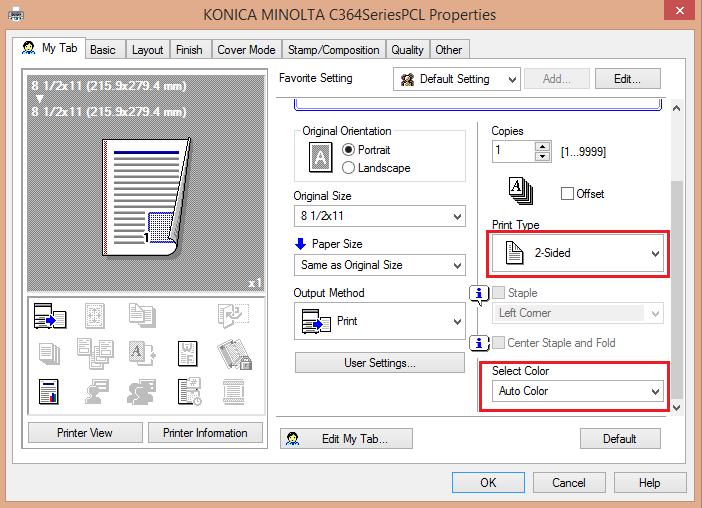 Color copiers will default to color printing. To change these or any other default settings, click “Print Setting”. Change the settings and press OK.